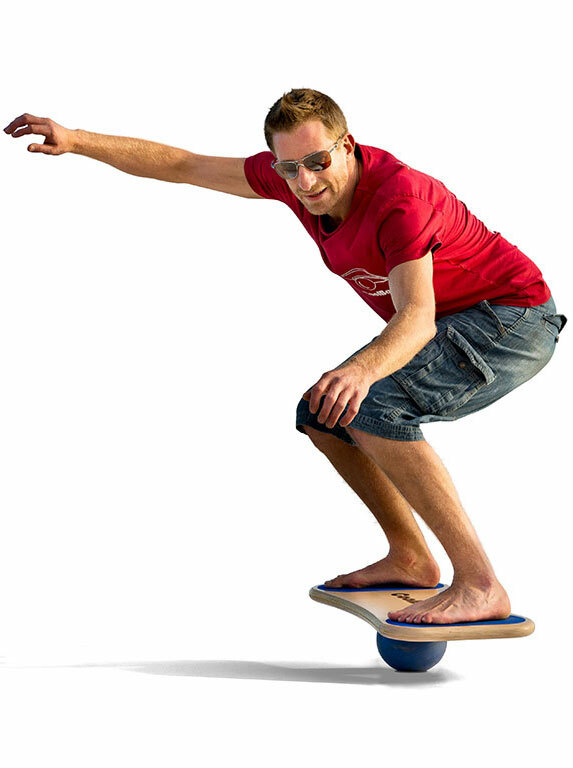 CoolBoard is the only surf trainer that can move like your surf board – foot to foot AND toe to heel simultaneously. 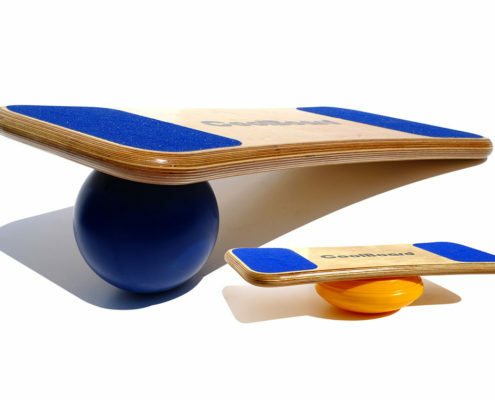 CoolBoard was originally developed as a surf balance board for surf training – and it’s the best you’ll get due to our unique and patented movement. Since then we’ve been stoked to see how much good it also does for your surf fitness, pop-up training and injury protection. You can use your CoolBoard surf trainer at home, and take it on surf trips to kick your muscle memory into gear just before you hit the water. When you ride your surfboard it moves in all directions, rocking and sliding over the water. Fore to aft (foot to foot) control is vital, rail to rail (toe to heel) is crucial for your turns. CoolBoard is the only surf balance board that gives you full balance control in all directions, both rock and slide – foot to foot and toe to heel. Besides hours of surfing, nothing else will give you the board control that CoolBoard surf training will give you. Beware of lesser ‘surf balance boards’ ‘surf trainers’ and wobble boards that limit movement, these either rock with no slide, or only slide from foot to foot – the easy bits! Almost as handy as your leash! The key to a good pop-up is the ability to pop-up without unsettling your surfboard. Most of us have one arm stronger than the other meaning we naturally push harder with that arm. This instantly tips your surfboard off to one side which makes it start to turn – making a successful pop-up much less likely. This is a very common problem for beginners, and any surfer as your arms tire. By doing push-ups on a CoolBoard you’ll train your body to push, or pop-up, evenly. With CoolBoard you can’t favour one arm over the other, and you won’t roll your shoulders. 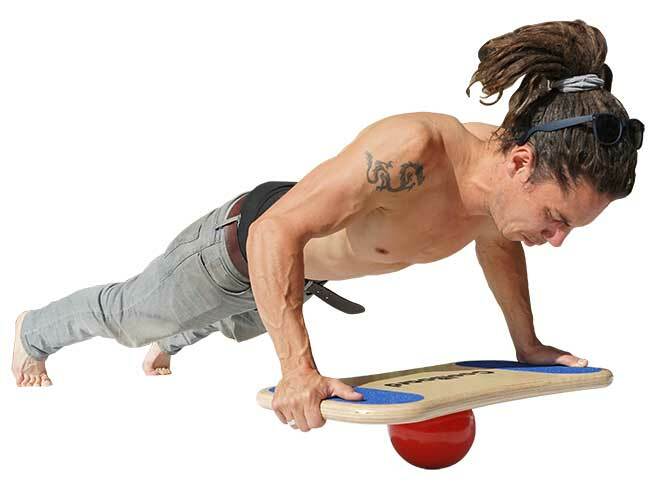 CoolBoard surf balance board will also increase your strength and endurance, so you can push it further for longer… so you can hit it big and find it easier to keep technique as you get tired. 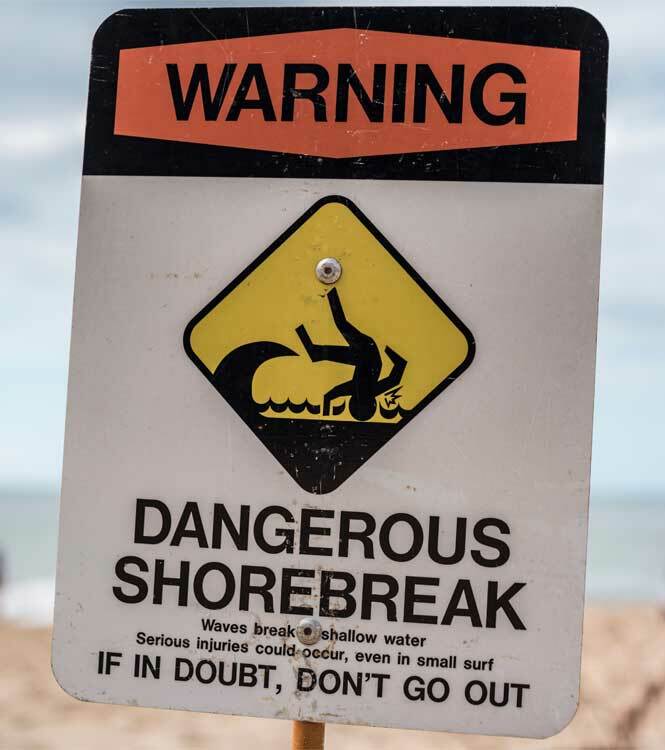 So next time the conditions are right – don’t play catch-up – be ready! Your core connects all your major body parts and is where all your movement begins. Your joint stabilising structures give you the strength to control and move a limb (arm or leg) with accuracy. So having strong joint stabilising structures and core will allow you to move your body with more strength, power and accuracy – or to put in another way – SHRED HARDER FOR LONGER! Boost your Surfing Fitness with our Surf Specific Workout Booklet. Get 13 Surf specific exercises to do with your CoolBoard. All exercises include tips for progression. Instability training works these often under-developed areas of fitness, and because CoolBoard surf trainer offers more instability than other trainers (Bosu, wobble boards, other balance boards, swiss and gym balls, foam pads, etc) its way more effective – you must react to every little movement, constantly working all those little important muscles. Just balancing on CoolBoard balance board fires up most muscles from your toes to your chest, including the all important joint stabilisers and core… our other exercises will allow you to further target these as well as working your upper body. Research has shown that a weak core and/or joint stabilising structures are major contributions to injuries – having a bulging bicep doesn’t mean you can control it! Prepare with CoolBoard and you’ll be less likely to suffer an injury.